Don’t give in to the notion that our elders were not as sexual as we are today. The only thing that has changed is the exposure we have to so many others who practice a ‘different’ orientation than our own. 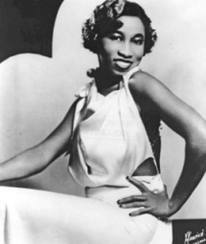 Either way, Ms. Lil got it right and sang of her pleasures in her classic “Early in the Morn” recorded in 1924. While we think some women were not aware of what felt good to their sexual senses, she sang a song for those women who knew exactly what they liked! And, if you listen closely, she’ll compel you to ask yourself…when is the last time you grinded into your lover in the wee hours of the morning? Thank you, Ms. Armstrong. Watch and sing the Chorus with her.